It is understandable if you're not sure how bail works, as there is a good chance you've never had to utilize the services of a bail bondsman before. At Bliss Bail Bonds we want you to fully understand the bail process so you're completely aware of each step and what each involved party's responsibilities are. We encourage you to give us a call to learn more about bail bonds in Whittier and throughout California, including Los Angeles and Orange County. Our fast and discreet services will help you and your loved ones move through this tough time much easier. The first part of the bail process is the arrest and arraignment. After a person is detained they will be held until their arraignment. The time leading to the arraignment will vary based on the facility the defendant is in custody at. At the arraignment the person will hear the charges against them and learn their bail amount. At this point they become eligible for bail release. By now you will likely have learned that your loved has been arrested. This means that you need to reach out to our team so that we can file a bail bond with the correct authorities that allows for their release. 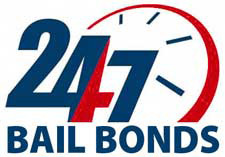 After your initial consultation with us, in which we locate the defendant, assess the bail amount and develop a payment plan with you, we will file the bond, allowing for the detainee to be released, usually in less than 7 hours, sometimes as quick as 1 hour. After the bond is filed the defendant will be released. It is imperative that this person appears at all of their upcoming court dates if they want the bond to remain in effect. Should they miss court we may enact skip tracing in order to return the defendant to custody to avoid paying the full bail amount. As the co-signer of the bond your main responsibility in regards to finances is paying for the initial fee for the bail bond filing. Should the defendant skip court you may become responsible for paying any fees associated with locating them. To learn more about the bail bond process in Whittier, LA, or elsewhere in California give Bliss Bail Bonds a call anytime, day or night, at (855) 631-2772. We look forward to reuniting you and your loved ones. "Fastest service. Best terms. Extremely helpful."